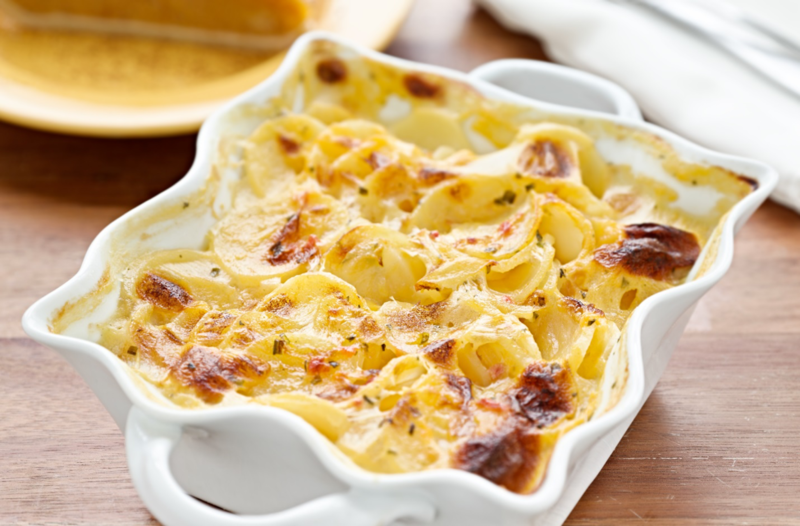 To serve four-cheese scalloped potatoes as a side dish this Easter holiday, plan on about half a pound of potatoes per serving. If the potatoes are the main course, with meat and/or green vegetables as the sides, then double the recipe. Use a different mix of cheeses (preferably those that melt well, including Monterey Jack, Pepper Jack, or provolone.